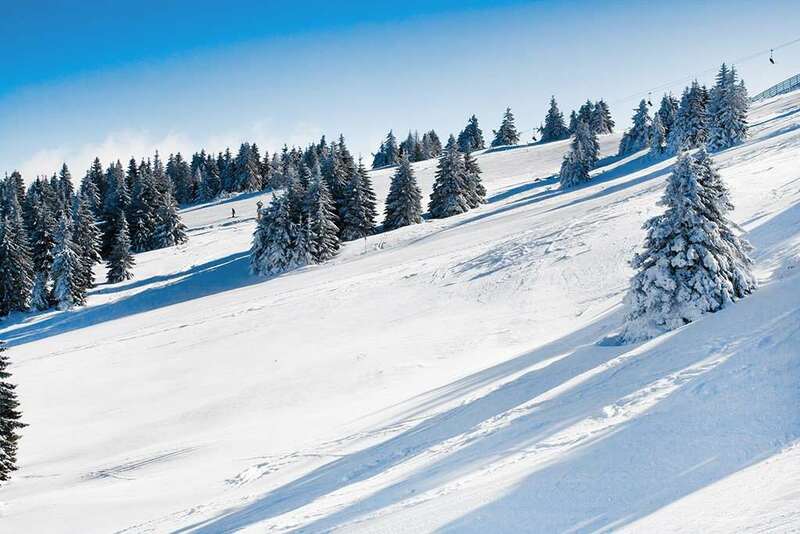 Skiing in Torgon is perfect for all levels of skiing from beginners to expert with direct access to the Portes Du Soleil ski area. There is plenty of skiing available on wide open well groomed marked runs across the mountain with panoramic views across the snowy peaks. For advanced skiers there is plenty of tree runs and off-piste trails available but safety must be taken as none of which are marked. The pistes are fully equipped with modern ski lifts which takes you up to the winter wonderland where skiers can enjoy the family friendly pistes and snowboarders can hit one of the snow parks for an afternoon brushing up on new skills. Torgon is the entry point to the Portes Du Soleil where snow conditions are usually very good throughout the winter season and with snow making facilities across most of its pistes adding to natural snowfall makes for further guaranteed skiing over the course of the season. There is plenty of activities to enjoy in Torgon for both skiers and non-skiers. Tourists can enjoy the local cuisine in one of the many restaurants in the Ports Du Soleil ski area both on and off the mountain. For apres-ski lovers try one of the ski hut bars on the mountain whilst enjoying the views from the top then ski down to one of the local villages for afternoon entertainment. Geneva (GVA) is the nearest airport to Torgon around a 2 and half hours transfer to resort. We had an Easter break in Torgon 2007 to give my Daughter and her Husband some skiing which they would not have been able to afford otherwise! We stayed in Les Cretes Apartments which are very 60s but perfectly adequate. Getting there is a bit difficult unless you hire a car. We flew into the French side of Geneva (don't believe the people who say always fly into the Swiss side) and picked up a Fiat Sedici 4x4 which proved useful - we had ski racks and GPS as extras but chains come as standard. I also bought the Swiss Motorway Pass on the net in the UK. A long drive up from Lake Geneva up the usual twisty mountain road. The Village is very small but has some good and not expensive Restaurants plus a small but well stocked Supermarket. There are 2 Lifts, one in the Village and one further out (car comes in handy) The nearest Lift is very low altitude and often shut at the start and finish of the Season. We used the far Lift and it gave access when we were there to vast areas of fresh powder (it dumped all day on the Monday) and one is spoilt for choice. 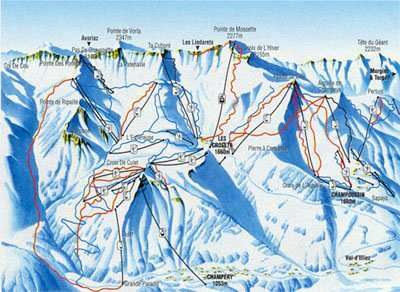 Although Torgon is part of the Portes du Soleil access to other parts of it is not easy, not helped by a pretty rubbish Piste Map. If you want a quiet holiday with high skiing miles then Torgon is pretty good - Oh Yes when the sun shines the views of Lake Geneva and Mont Blanc are spectactular. We went to Torgon in March 2009. All the lifts were open, although the snow was melting alarmingly fast! Pros - Low Cost, empty runs were absolute heaven, small and friendly resort, shorter commute from airport than many other resorts. Cons - Inaccessibility of PdeS area; many resorts need a bus to access or a hike through, the number of T bars and buttons :( This isn’t a good resort for people just starting out; the only run down to the village is a steep, often icy red; once you go over the mountain there are two lifts and a T bar to choose from: the T bar is 7 minutes long (but leads to a lovely area) one chairlift takes you back to Torgon side, the other has a steep red back, or if you go the other way a there’s a long journey home, as you have to do a very long loop.